Manufactured by Hacos. 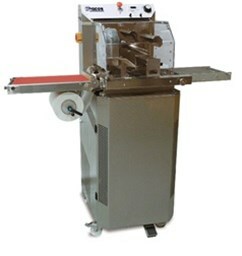 40kg/88lb automatic tempering machine, available with optional enrobing unit. These machines are equipped with a fully automatic tempering system and an integrated cooling unit. The digital control unit allows you to program all three temperatures (45°-27°-30°C) or (113°F-81°F-86°F) in order to achieve the perfect tempering curve. Disc tempering system can be dismantled.